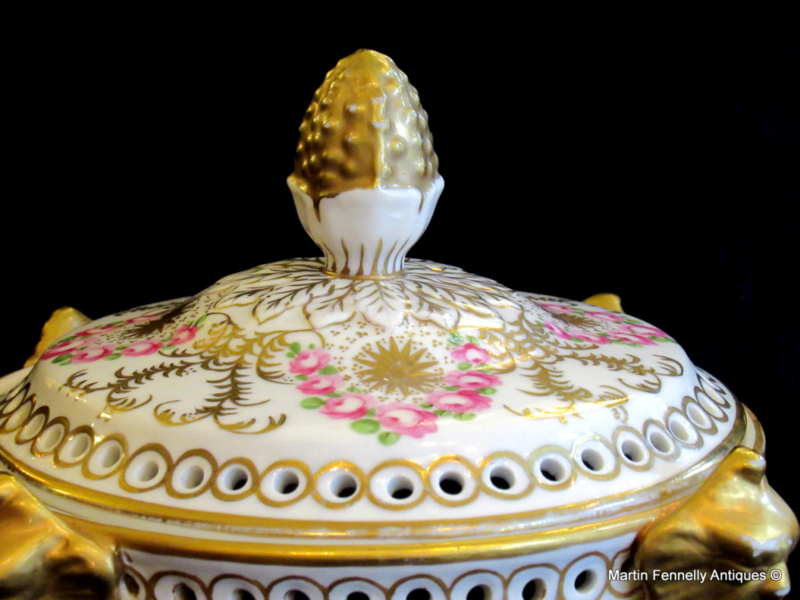 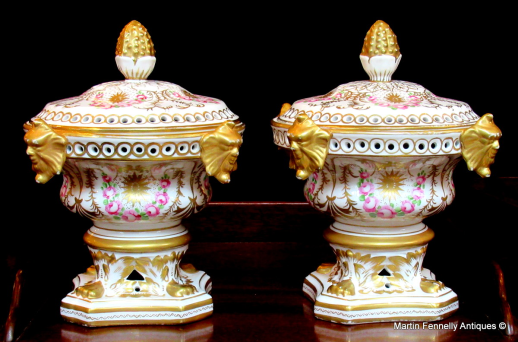 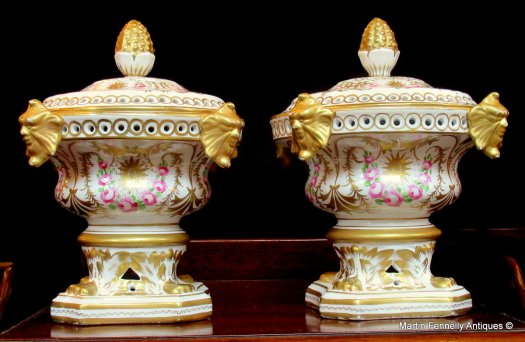 Wonderful Large and Rare Identical Pair of Early English Regency Royal Crown Derby Style Porcelain Pot Pourri or Pastile Burners of traditional form. 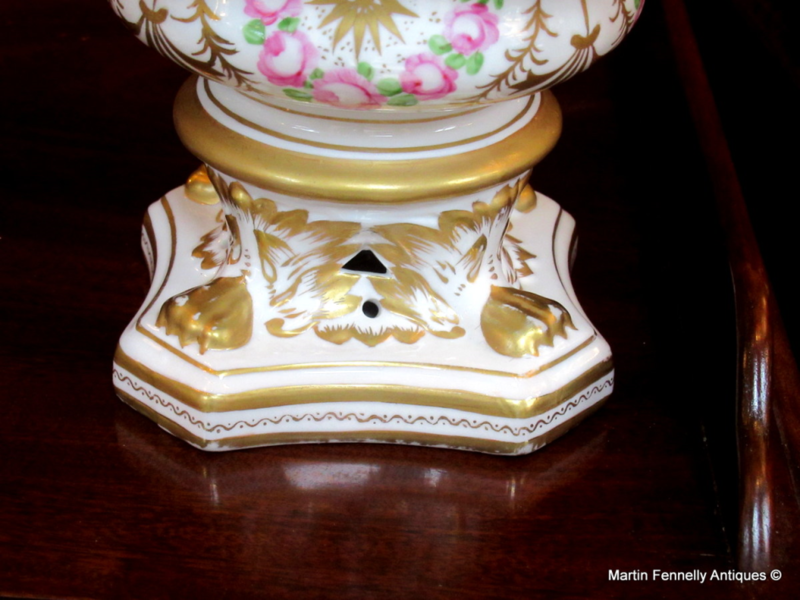 Lavishly hand decorated in puce and light pink with gilt on an off white ground, each rim with four projecting Lion's heads ending on four paw feet on a shaped base. 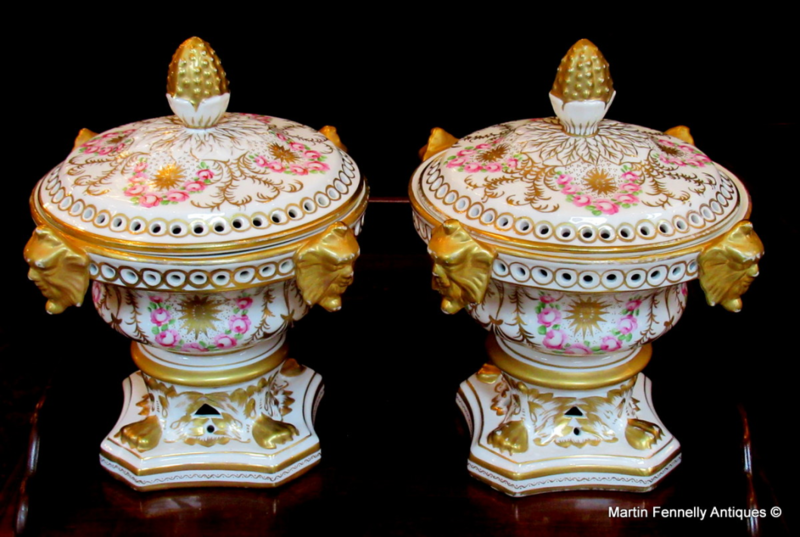 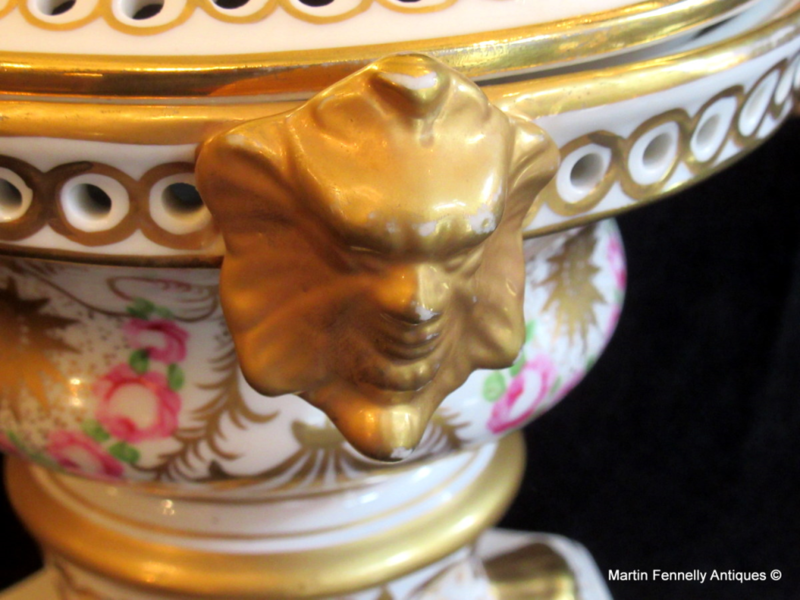 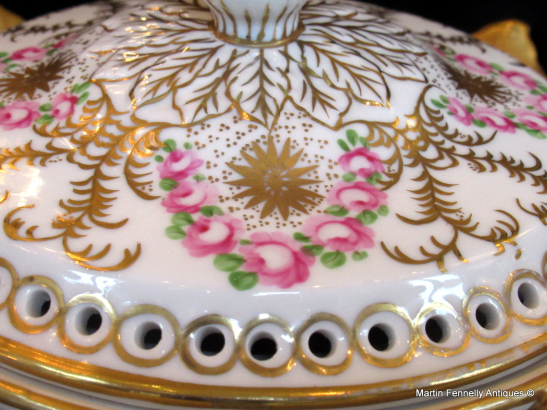 Condition: Superb condition with no restoration, finials are nicely done, light wear to gilding at high points.